A small scenic village on the island of Tasmania in Australia was recently put up for sale, drawing interest from local and international investors, including Singaporeans, reported Agence France-Presse (AFP). The 145ha Tarraleah village has attracted potential buyers from Australia, China, Hong Kong and Singapore since it was listed on the market late last week, said John Blacklow, one of the agents marketing the property. Realtors are targeting to sell the property for A$13 million (S$13.6 million). Located in the state’s Central Highlands, the village was originally built in the 1920s and 1930s to house 2,000 hydroelectric workers. But the facility fell into disuse after the dams and power plants servicing southern Tasmania became automated. Subsequently, property developer Julian Homer purchased the entire village which had become dilapidated, and repaired the art-deco buildings before transforming it into a tourism-focused complex. “He’s finally finished his programme of renovation, which has taken him 13 years, so the whole of the town — all the 33 buildings and infrastructure — have been done up to a very high-class standard,” noted Blacklow. Also included in the sale are dozens of homes, a lake full of fish and 35 Highland cattle. “Now it’s ready for an operator to actually take over and continue the operations as a tourism village,” he said, adding that the property generates an annual revenue of A$2.1 million (S$2.19 million). Guests can play golf, explore the bush, catch trout and salmon in the lake, drink at a bar and relax in cottages, while enjoying the company of the native animals such as wallabies, kangaroos and Tasmanian devils. 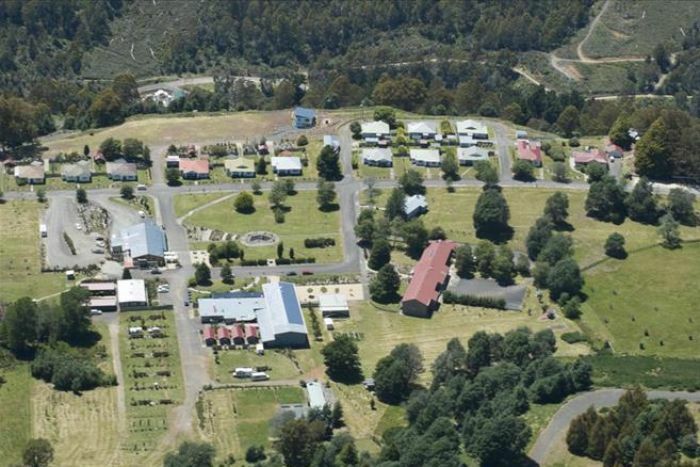 Currently, there are no full-time residents in Tarraleah village, only tourism-related staff, added the marketing agents.